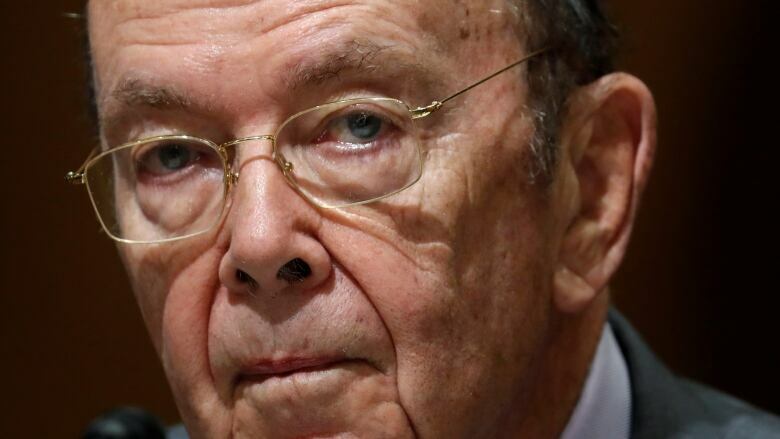 Commerce Secretary Wilbur Ross says the United States needs to make it harder for its trading partners to have high trade barriers in order to achieve President Donald Trump's ultimate goal of lower barriers and a level playing field. Commerce Secretary Wilbur Ross said on Thursday the United States needs to make it harder for its trading partners to have high trade barriers in order to achieve President Donald Trump's ultimate goal of lower barriers and a level playing field. "What we have to do is create an environment where it's more painful for these parties that have these huge trade barriers, both tariff and non-tariff, got to make it more painful for them to keep those barriers than to get rid of them," he told CNBC. "In the particular case of China, it's compounded by their disrespect of intellectual property, the forced technology transfers, the cybersecurity breaches." Trump this week expanded the number of Chinese imports possibly facing new duties. He threatened on Monday to hit $200 billion US of Chinese imports with 10 per cent tariffs if Beijing retaliated against his previous target of $50 billion US in imports, aimed at pressuring China to stop stealing U.S. intellectual property. The growing trade conflict hit financial markets hard, with Beijing accusing the United States of "extreme pressure and blackmailing" and vowing to retaliate. With both sides upping the ante, the risks of a damaging trade war grew dramatically. "After we put those in, suddenly Europe started a whole bunch of safeguard actions to protect their own borders against dumping of steel and aluminum," Ross said. "Before we put our tariffs, they hadn't done that. Similarly Japan." "It may sound strange, but the fact that we put tariffs on the goods coming out of them has modified their behaviour and has induced a pretty high degree of international co-operation against dumping," he said.